our DVD Lending Library program is currently undergoing an overhaul. Please check back soon for how to get your library card! 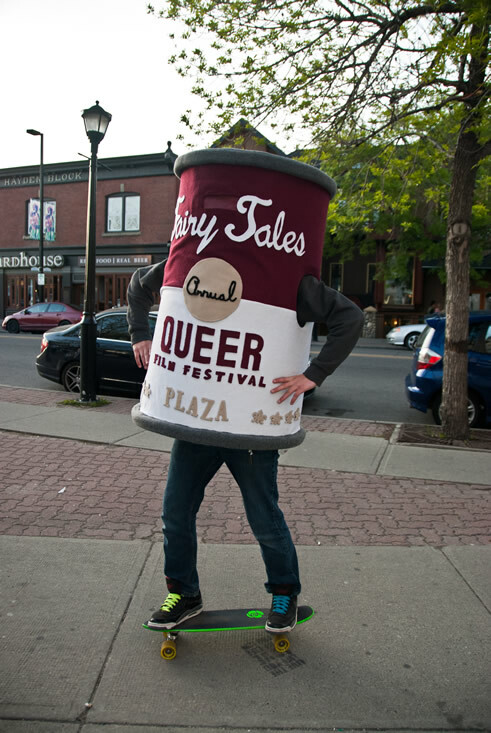 Did you know that Fairy Tales has the largest collection of LGBTQ2A+ independent films in Alberta? This includes feature films, documentaries, TV shows, shorts, and many films shown at previous Fairy Tales Film Festivals on DVD (and some VHS) available for rent! Access to our lending library only costs $10 annually! Access to our DVD Lending Library of over 1000 queer DVDs of films and televisions shows. The largest in Alberta! This includes feature films, documentaries, TV shows, shorts, and many films shown at previous Fairy Tales Film Festivals. As DVD rental stores disappear, why not sign-up and enjoy some of the best in LGBT films you can’t find online? A deep sense of satisfaction and pride for making this small commitment to say yes to queer film, yes to our community, and yes to continued queer representative events in Alberta! We provide you with your very own ‘library card’, and access to a living document with all our available titles for rent. Set up an appointment with Fairy Tales staff to pick up your movie! Yes - I provide consent to add my email address to the Fairy enews to receive updates throughout the year. Yes I would like to have access to the DVD Lending Library of amazing films and TV shows. I hereby agree to the policies in place to protect the library and agree to return my rentals in a timely manner, treating the library and other members with respect.